All electric locks have a potential weakness. If a burglar manages to reach the power supply cables they can be cut and then used to send an impulse to lock to open it. The Viro Block-Out electric lock has been designed precisely to avoid this problem and provide more security. 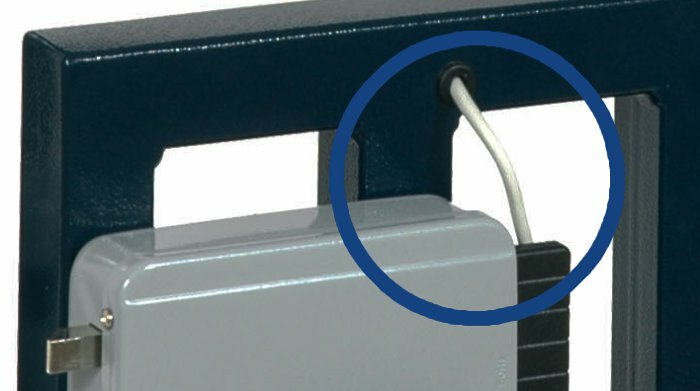 The power supply cables of electric locks are often exposed at one or more points and can be used by burglars to send an “illegal” “impulse to the lock and thereby open it. The feature which makes this lock unique, so much so that it is protected by a patent, is the presence of a dead-bolt inside the latch. 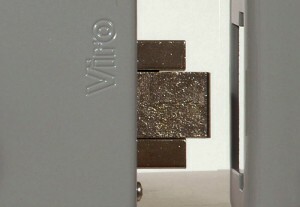 This is a detail of the dead-bolt inserted in the latch of the Viro Block-Out electric lock. The dead-bolt works independently from the latch and is controlled solely by the key. This means that, once the dead-bolt is closed with the key, it is not possible to open the lock with the electric control. In this way, any burglars who, for example during the night, attempt to reach the power supply cables from outside – to transmit an electrical pulse to the lock – would still not be able to open it. The dead-bolt has been inserted inside the latch in order to maintain the standard dimensions and therefore make the Viro Block-Out lock perfectly interchangeable with the most common electric locks on the market. 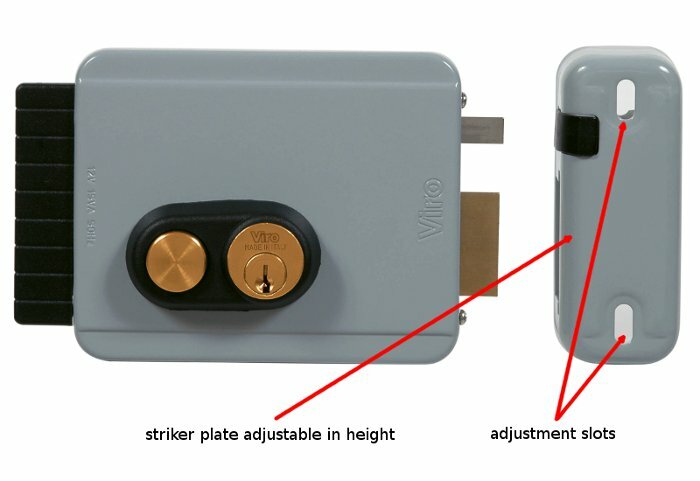 So, you can easily install the Viro Block-Out lock on doors, garage doors and gates, inside or outside, even replacing the existing locks, and better protect access points to your home, office or business. 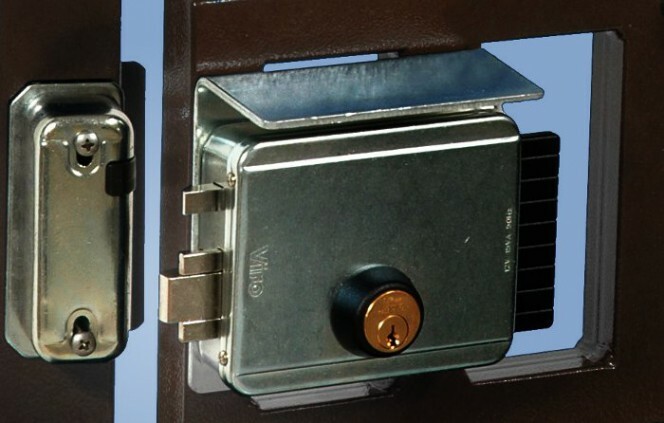 The replacement is made even simpler by another distinctive feature of the Viro Block-Out electric lock, i.e. 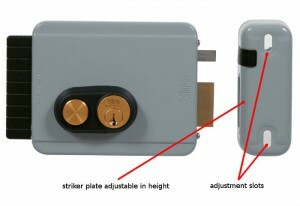 the adjustable backset (the backset is the distance between the centre of the cylinder positioned on the outside of the lock and the case of the lock itself, where the latch/dead-bolt emerges), which therefore avoids the need to buy a specific model featuring the required backset (which is dictated by the distance at which the existing hole on door or gate is located, through which the outer cylinder of the lock must pass), but allows use of the same model, simply by adjusting the backset of the lock, i.e. moving the position of the outer cylinder, with the Allen key provided. This avoids the risk of buying the wrong lock. 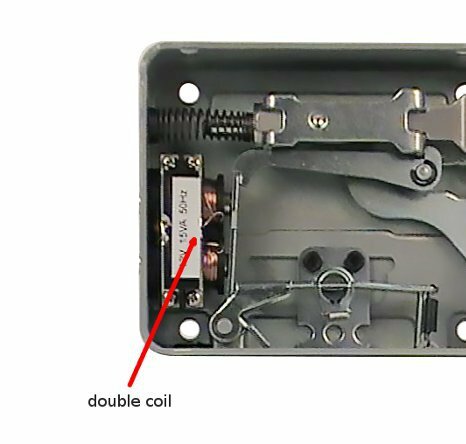 The double coil used to limit one of the most common causes of electric lock faults, that is, the burning of the coil itself. In effect, by sharing the load evenly, the double coil has a much longer service life than normal coils. The height-adjustable striker, which, by means of appropriate slots, is able to adjust misalignments which occur over time. 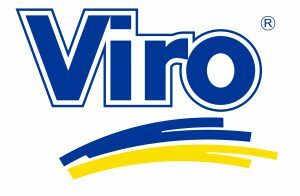 To paraphrase a famous saying: “an electric lock is good, but a Viro Block-Out is better”. This entry was posted in Electric locks and tagged products on 12 January 2015 by Mara Rossi.